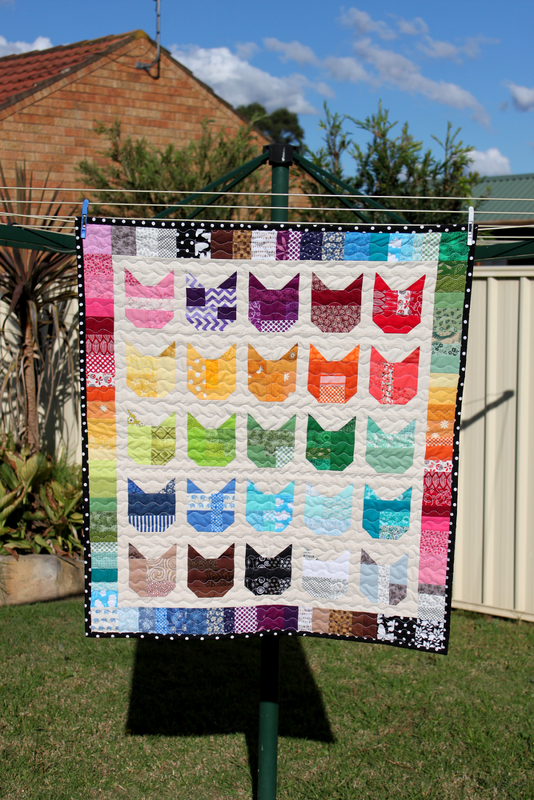 Skyberries Handmade: Catvent QAL - I Finished a Quilt! This is fabulous. I love a good rainbow. I think the border and binding work really well - great choices. Thanks Angie. I'm happy with how it turned out. I find it's always better to walk away for a while when a project isn't making sense than to press on with something I don't like!